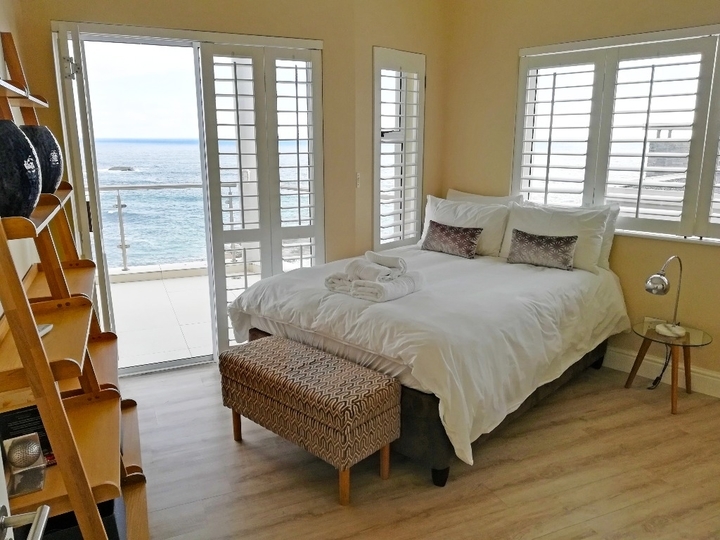 Why stay at CAPE NIGHTS VILLA? 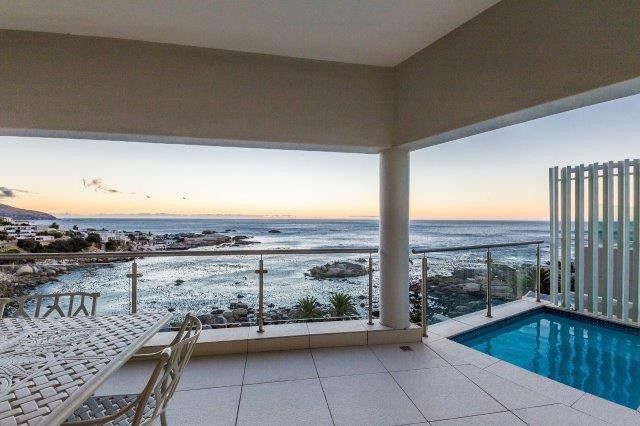 Cape Nights Villa is an elegantly designed, 5 bedroom villa, offering overwhelming views of the ocean from every level and every bedroom. 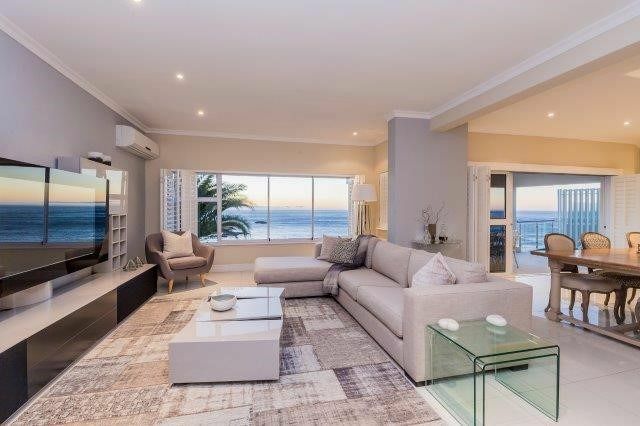 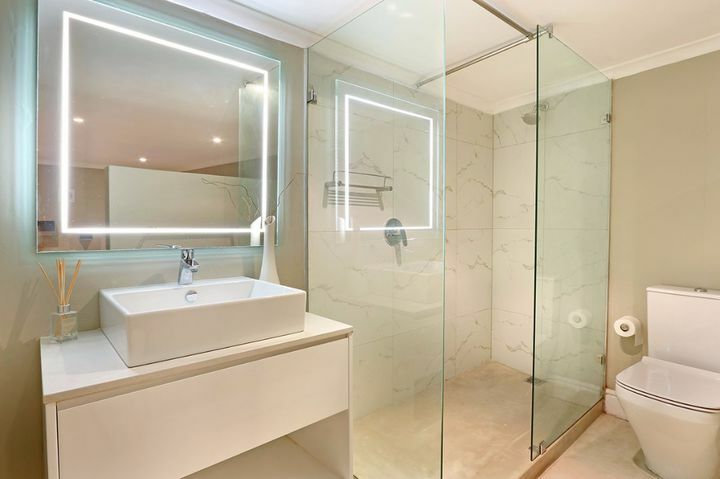 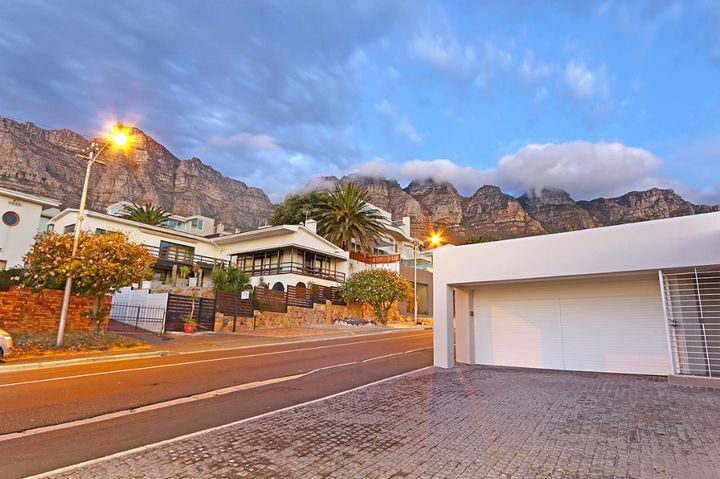 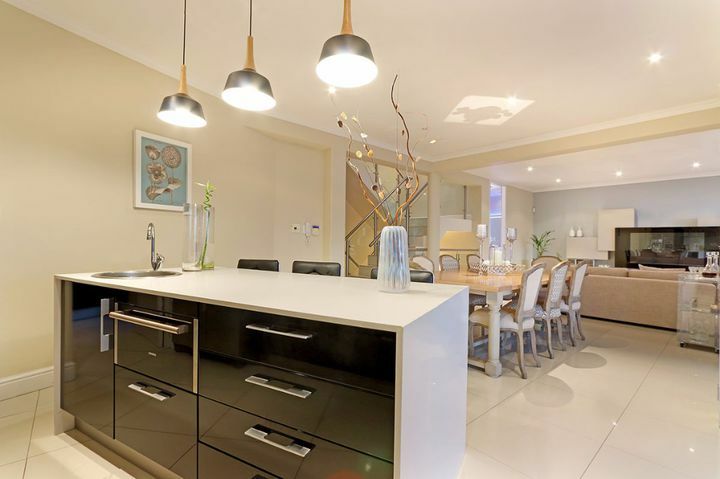 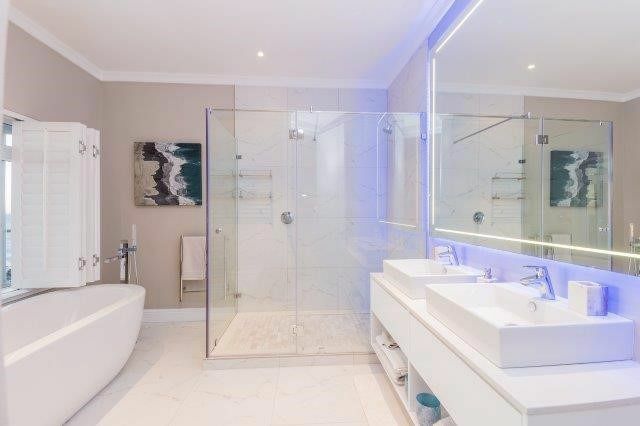 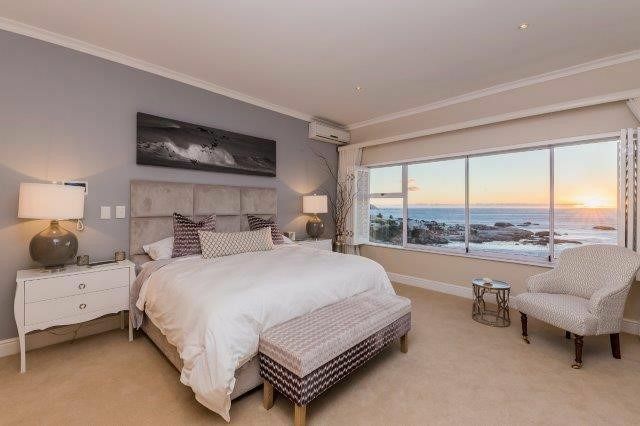 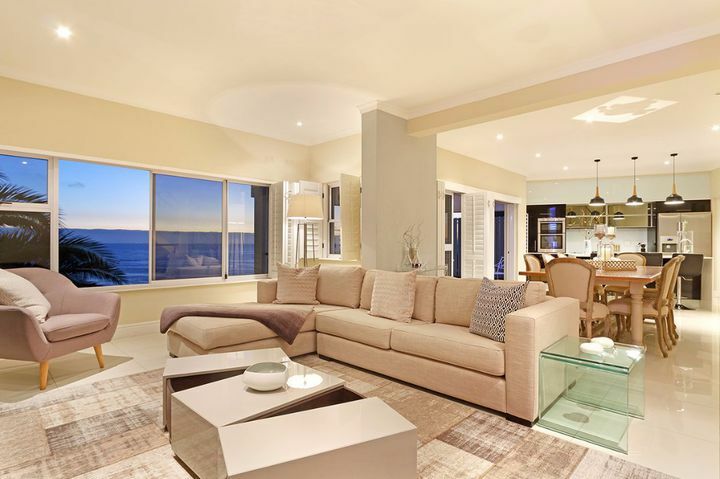 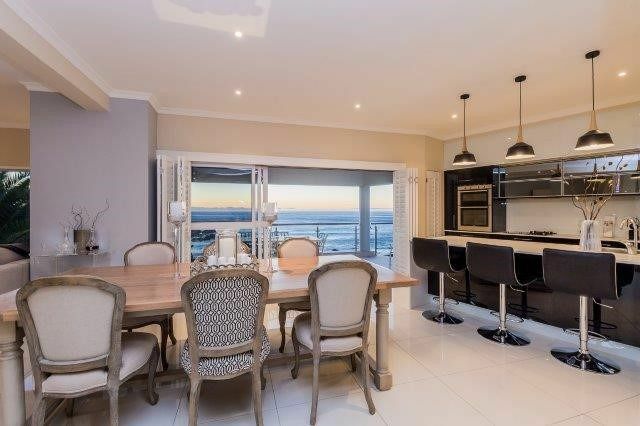 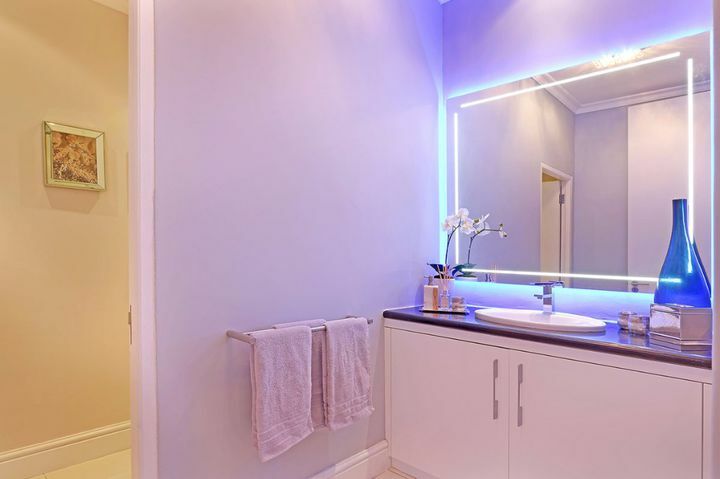 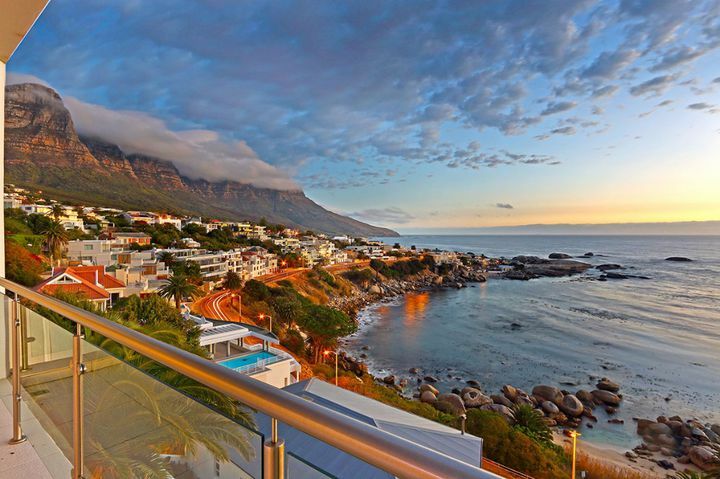 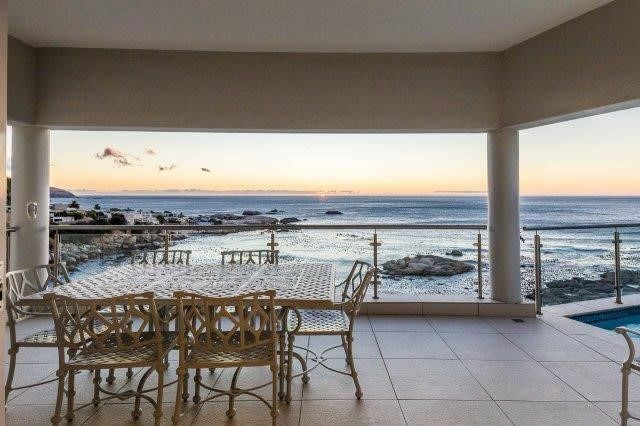 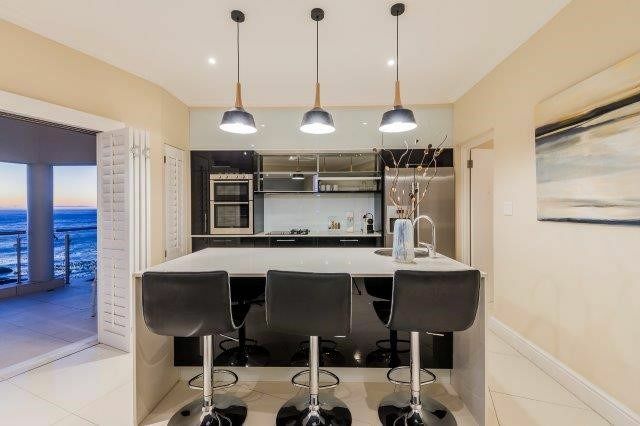 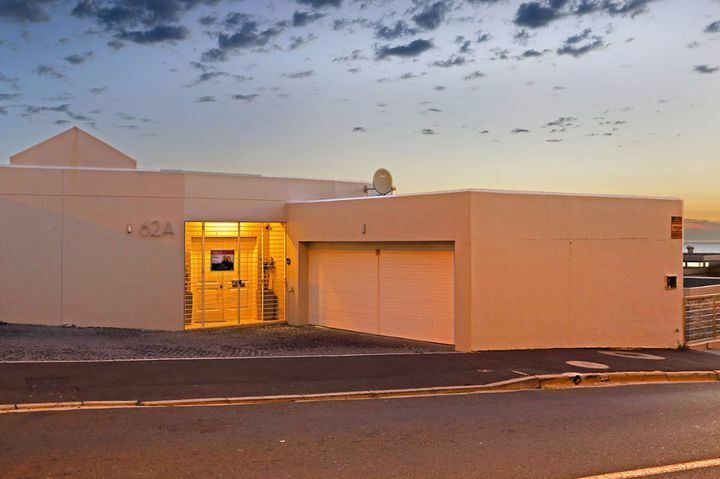 Beautifully refurbished, this property is situated a mere 5 minute walk from the Camps Bay main strip. 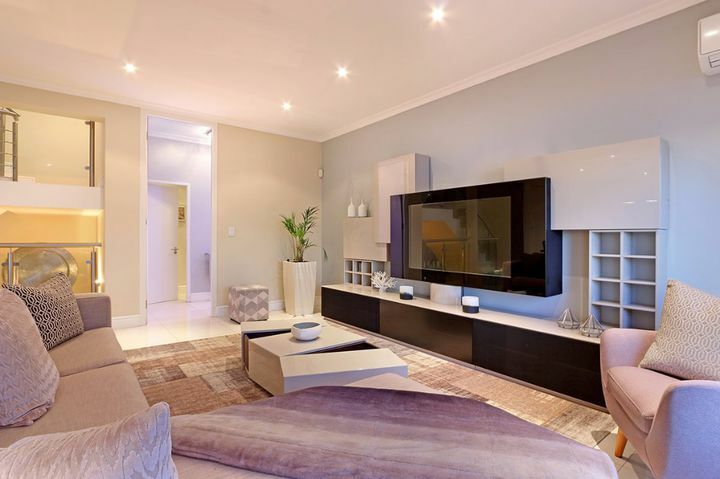 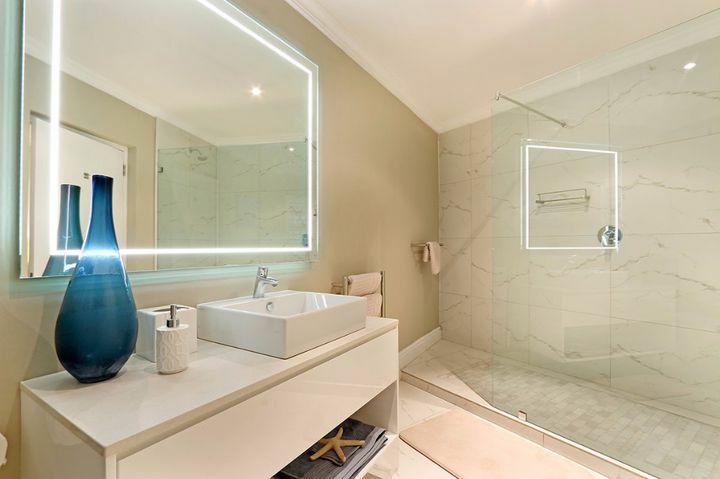 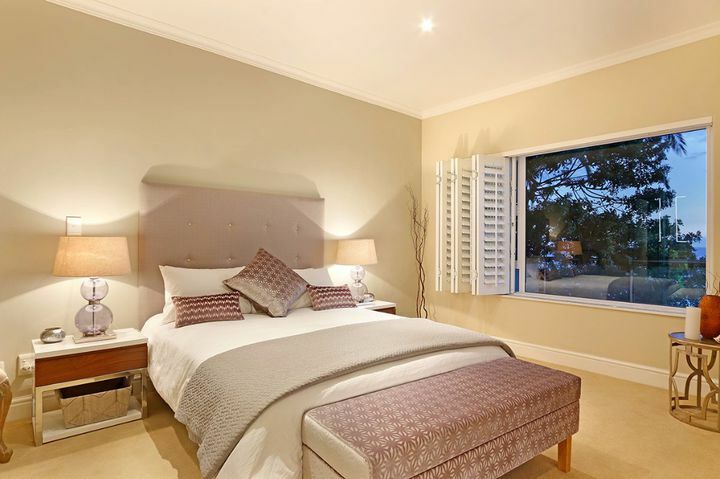 The interiors have been elegantly furnished, and the Villa is fully equipped with everything you could possibly need for a relaxing and luxurious vacation in Cape Town. 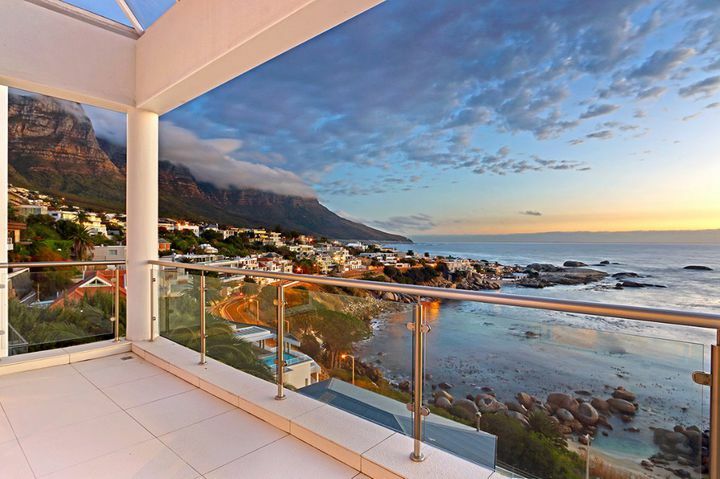 There are three levels, each of which has its own terrace from which you can relax and watch the sunset, close enough that you can hear the ocean. 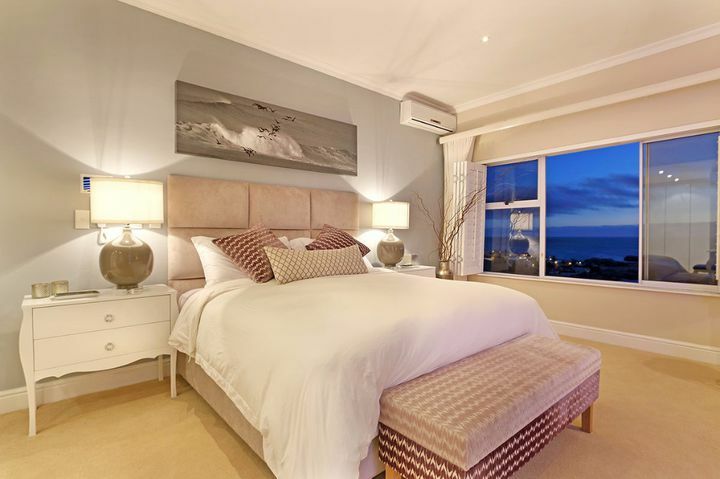 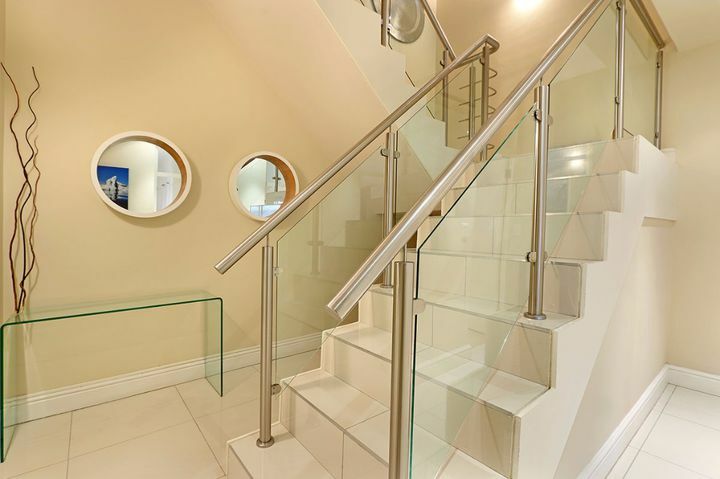 On the entrance level of the property you will find two of the bedrooms. 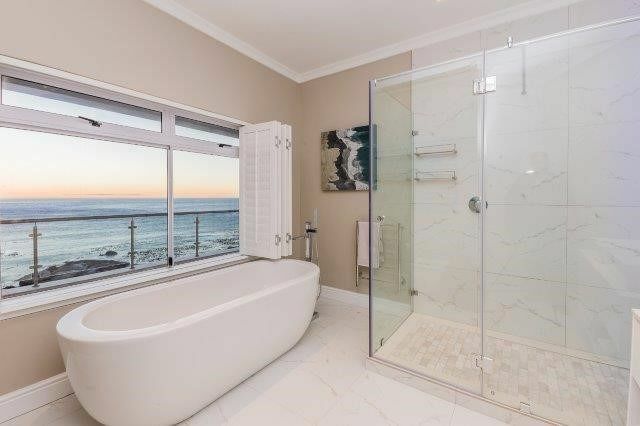 One being the Master Suite with walk in dressing room and en-suite bathroom with double vanity, walk in shower and bath overlooking the ocean. 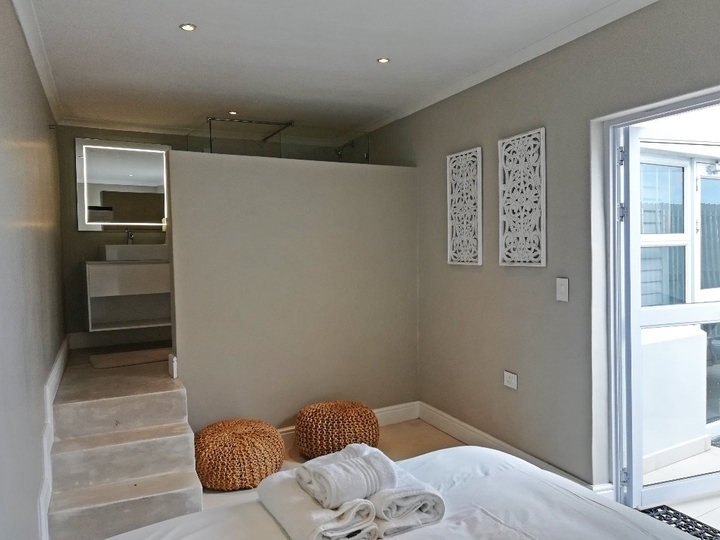 The second bedroom being the smallest of the rooms in the house offers a double bed and en-suite bathroom with shower. 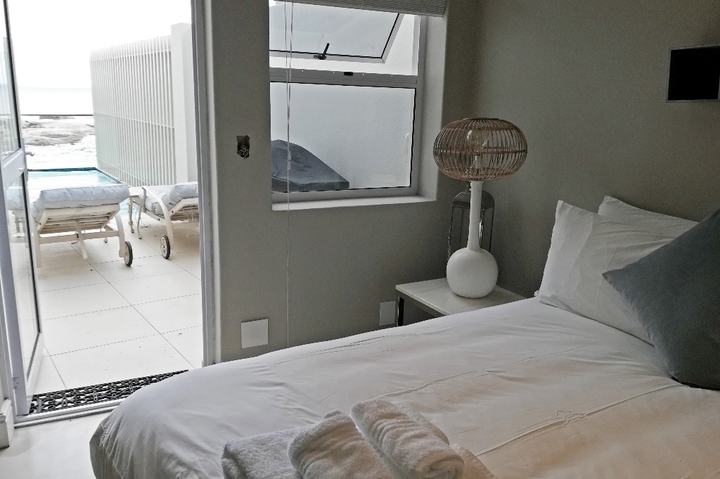 Both of these bedrooms have direct access to the top terrace. 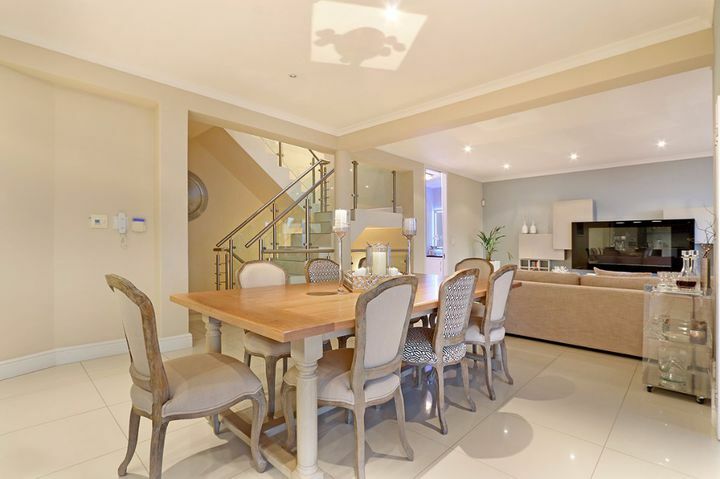 On the middle level, one floor down is the spacious living area with open plan dining room and kitchen. 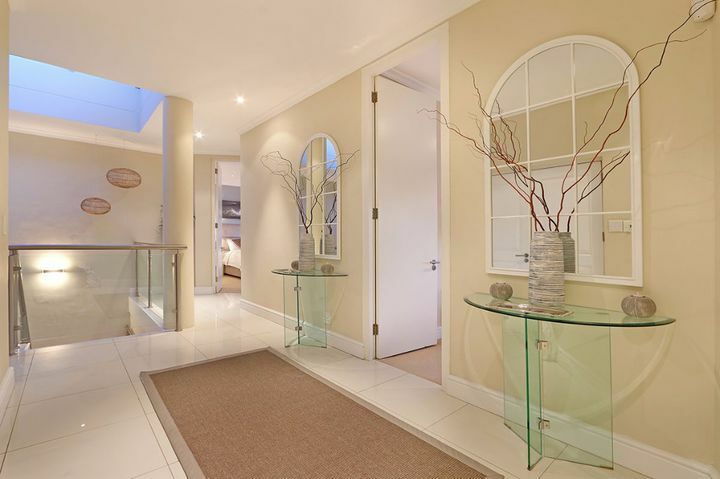 This leads out to a terrace with sparkling pool. 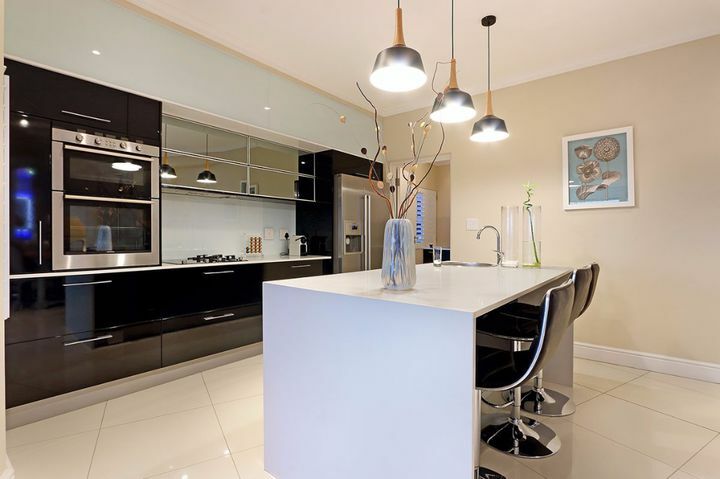 The kitchen has been fitted with all the modern conveniences, making use of mainly SMEG appliances, Nespresso Machine, dishwasher etc. 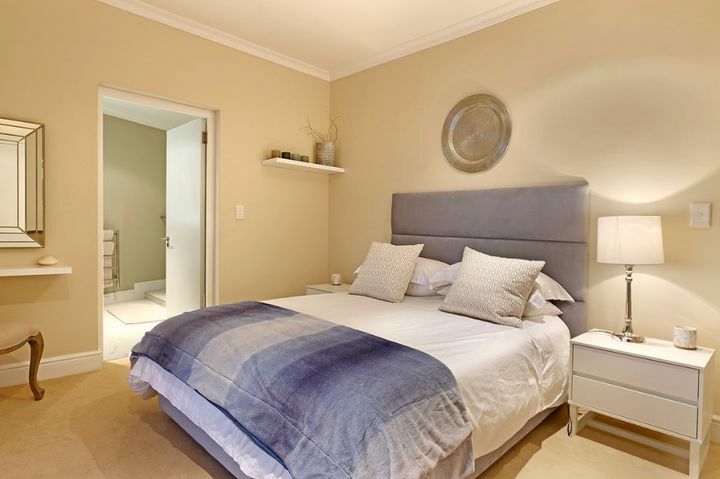 Finally, on the lower level, you will find an additional two bedrooms. 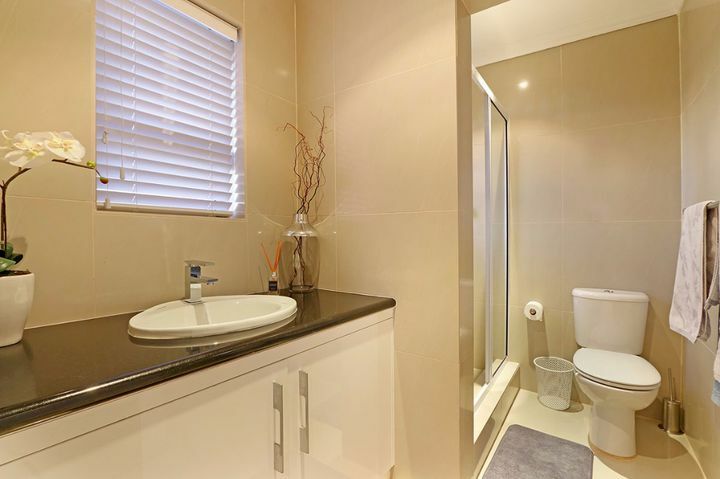 The third bedroom being a double, en suite with a walk in shower. 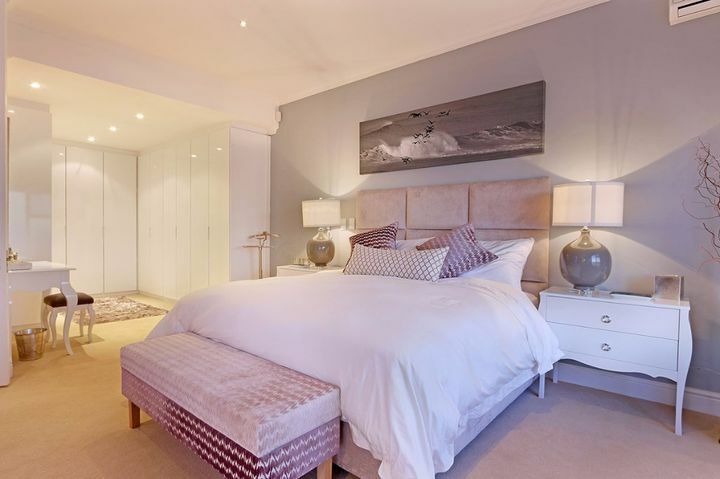 The fourth bedroom also being a double, en suite with bath and walk in shower. 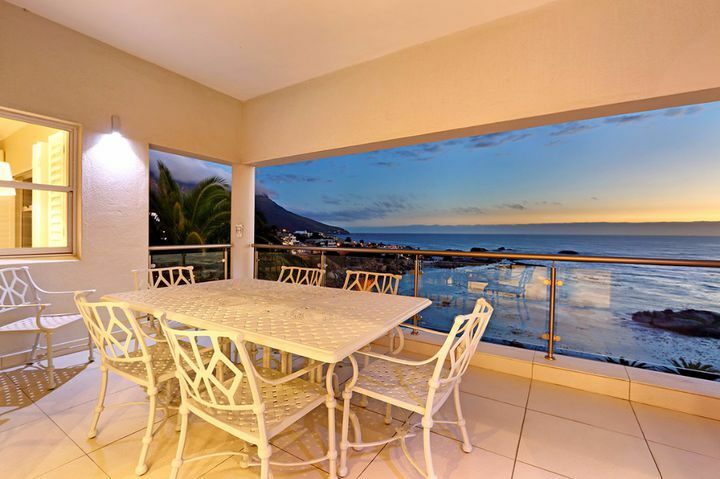 These two bedrooms also have access to a separate terrace with outdoor seating. 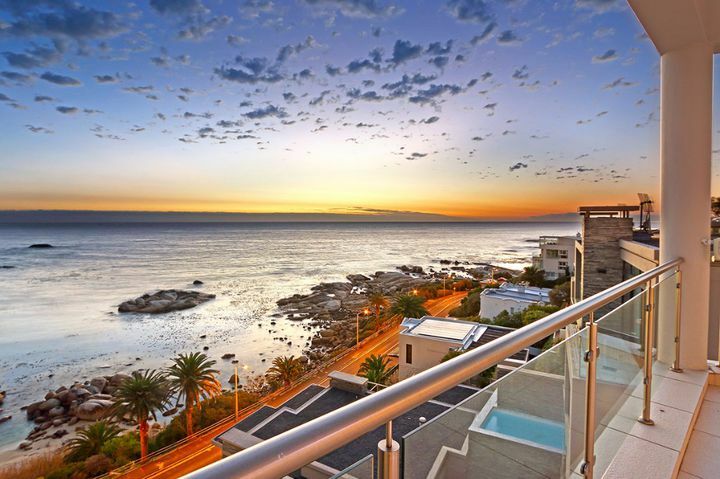 Three balconies, one on each level of the house all with sea views. 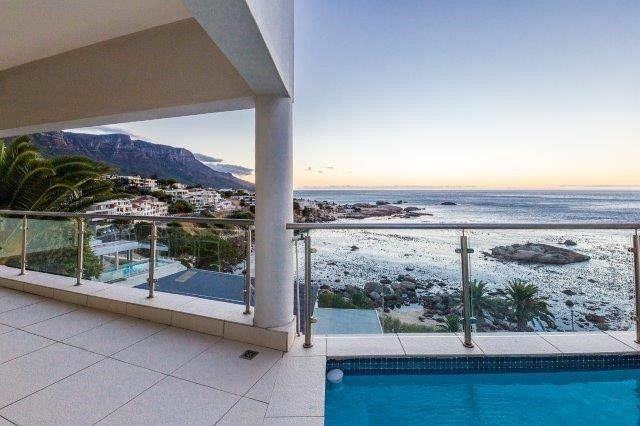 Ready to stay at CAPE NIGHTS VILLA?